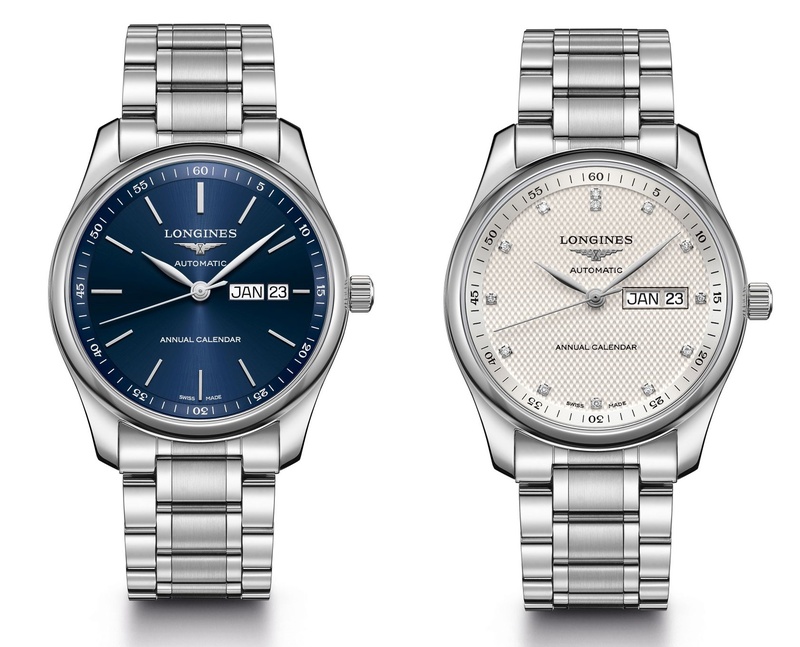 In 2005 Longines launched Master Collection, which was to be characterised by classic designs, and the use of mechanical movements. This year, at Baselworld 2018, they added a new annual calendar to the Masters. Not just this, but they also did so at a very competitive price. With a dial aesthetic that is typical of the Masters Collection, the annual calendar function, displayed at 3 o’clock, automatically registers different month lengths, so provided you keep it running, you won’t have to make any adjustments to it. This new function is powered by the automatic Longines Calibre L897.2 (base ETA A31.L81), which beats at 25,200VPH and has a power reserve of 64 hours. The movement will be visible through the sapphire case back. The 40mm stainless steel case comes in a number of dial variants – a silver ‘barleycorn’ deocrated dial with Arabic numerals (or diamond indices), a black ‘barleycorn’ dial with Roman numerals, or a blue sun-ray dial with indices. Hands are either blued steel or rhodium-plated. Also, it comes on a steel bracelet or a black, blue or brown alligator leather strap with a steel triple safety folding clasp. If there is one thing I would change about this new watch it’s the ‘ANNUAL CALENDAR’ text on the dial. So now to the point we mentioned at the beginning, its competitive (attractive) pricing. This handsome and easily read new annual calendar has a starting RRP of 2,100 CHF for the strap versions. Great looking and under rated watch and watch brand. Good review of this.